This has been a pretty damn good week as far as Jason Chimera is concerned. Not only did he score the game-winning goal as the Washington Capitals defeated the Carolina Hurricanes 2-1 Monday night, but less than 24 hours later the 36-year-old veteran forward joined an illustrious group of D.C. athletes who have a beer named in their honor. How did this come about? Glad you asked. Our story starts last month, when the Capitals held their fifth-annual Caps Casino Night. The event, which gives fans a chance to spend some time with Caps players and coaches in a relaxed environment, was a huge success — raising more than $300,000 for the Monumental Sports and Entertainment Foundation. Caps Craft Beer Experience: Four fans will enjoy a chef’s tasting dinner and brewery tasting tour at The Arsenal at Bluejacket in Washington, D.C., with goaltender Braden Holtby, forwards Jason Chimera and Justin Williams and defenseman Matt Niskanen. Dinner and tasting was donated by The Neighborhood Restaurant Group. Now, I fully admit that hockey and beer are two of my favorite items on this planet, but how awesome does that sound? Considering it raised a whopping $10,200, I’d say the Caps Craft Beer Experience was a wise choice. Turns out, the idea came from Chimera, who is a bit of a craft beer fan and who has been known to enjoy a tasty IPA from time to time. I don’t want to divulge too many of the details of the Caps Craft Beer Experience — after all — what happens in the brewery stays in the brewery. 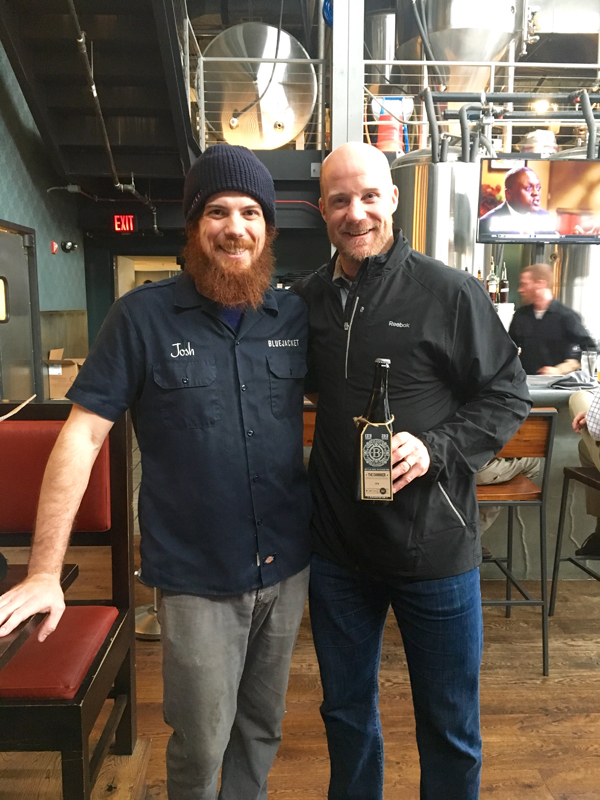 But suffice to say, Chimera and his teammates enjoyed their first time at Bluejacket on Dec. 1, and the folks who make the best beer in our nation’s capital were equally as pleased with the experience. So much so, that just three weeks later, they’re rolling out a brand-new brew named after the 16-year veteran from Edmonton, Alberta, Canada. 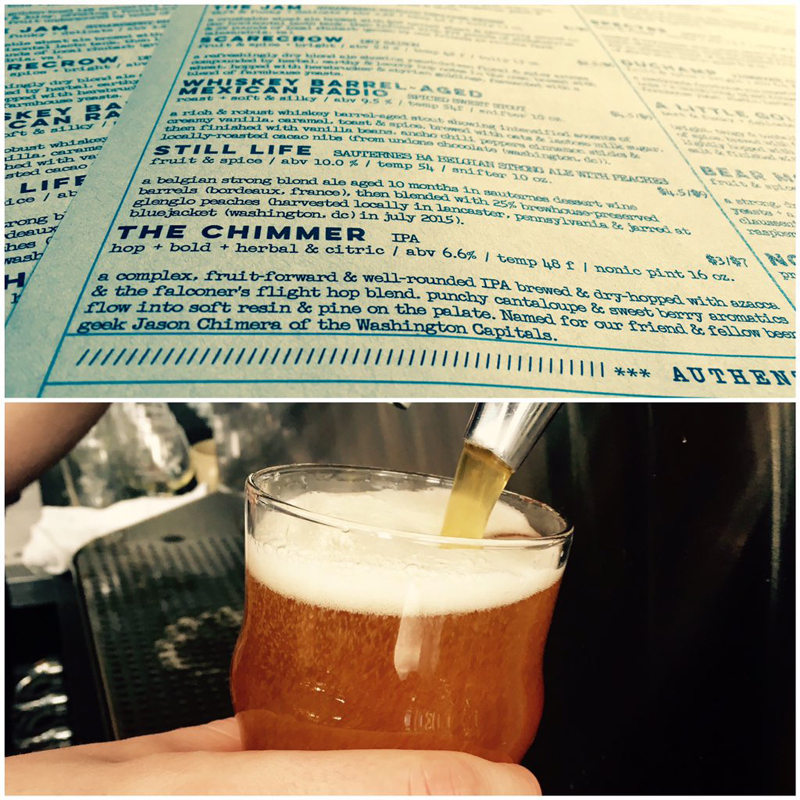 As for the newly-created beer, according to information provided by Bluejacket, “The Chimmer” is a complex, fruit-forward and well-rounded IPA brewed and dry hopped with Azacca and the falconer’s flight hop blend. Punchy cantaloupe and sweet berry aromatics flow into soft resin and pine on the palate. Named for our friend and fellow beer geek Jason Chimera of the Washington Capitals. Look, I love Ovechkin as much as anyone, but that’s not exactly a stance that’ll win over very many hearts and souls in the craft beer world. And if that’s not reason enough, Chimera did spend five seasons with the Columbus Blue Jackets. So really, Chimera and Bluejacket were clearly meant to be together.